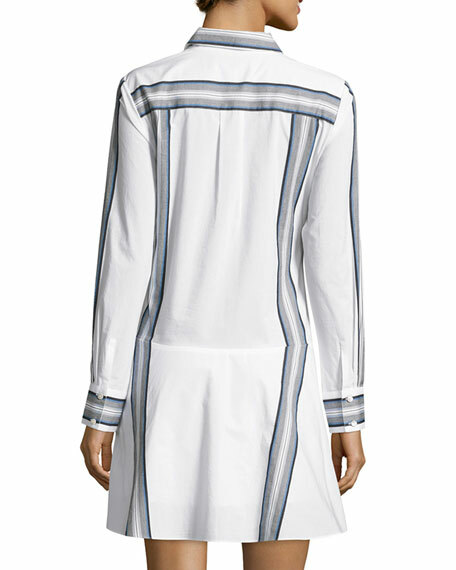 Derek Lam 10 Crosby mini shirtdress in cotton poplin with contrast stripes. Features faux tie detail at waist. For in-store inquiries, use sku #1963856.